You know, one of the things I love about England is the diversity that we have. From the little coves on the Dorset Coast, gorgeous little hamlets and enough history to throw a stick at! 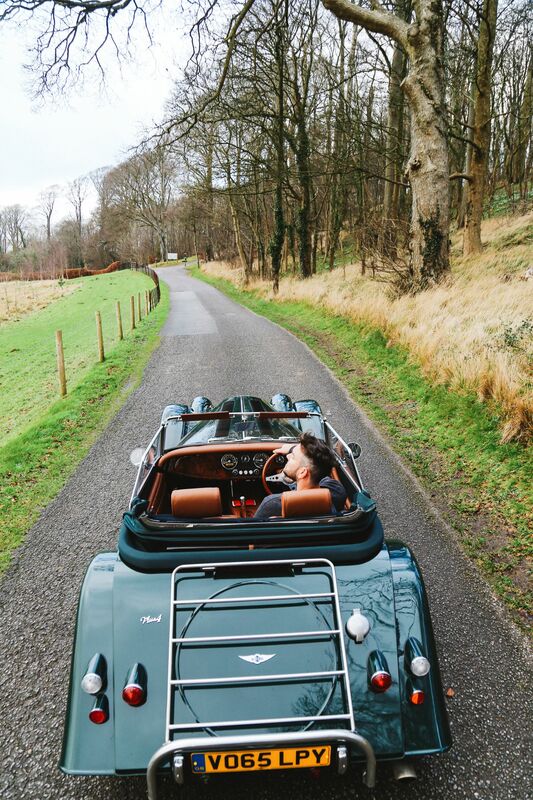 All across the country, it’s filled to the brim with some of the best places to visit in England. Okay but let’s start with the glaringly obvious, I’m biased and pretty proud of the beauty of England. I really do think that England is totally unique and much more than just cities like London. 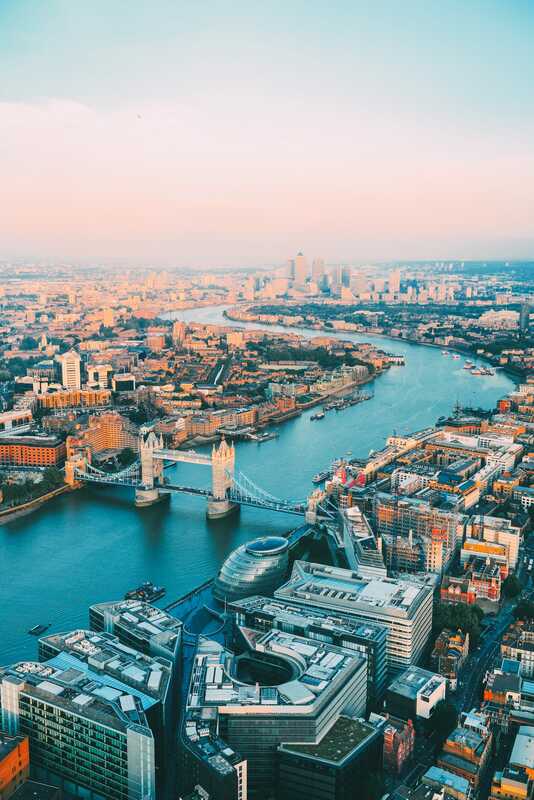 Yes, these are amazing (and I love London more than any other city in the world) but it’s just one small area of our amazing country and there really is so much to see. 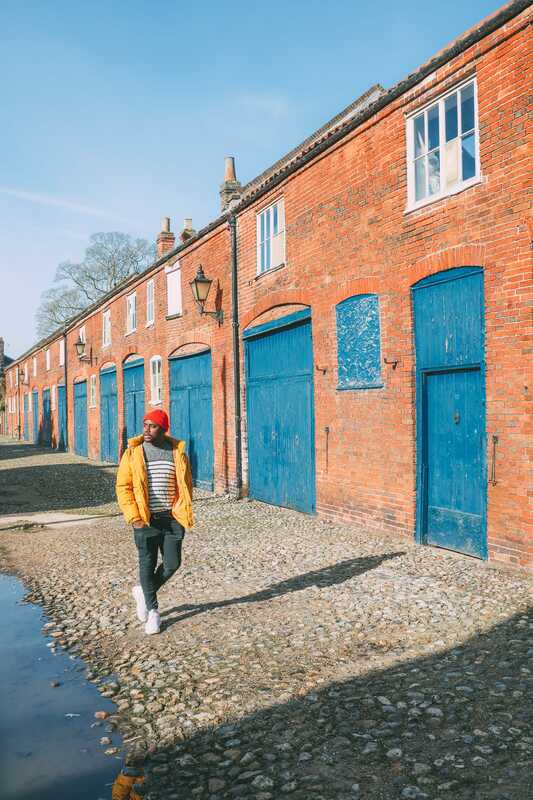 Over the last few years, I’ve made it my priority to explore so much more of England and to see the places that are right on my doorstep (it’s something that I regretted for the longest time… thinking that I needed to leave the UK to feel like I’d travelled. How wrong I was. Anyway, better late than never, right? 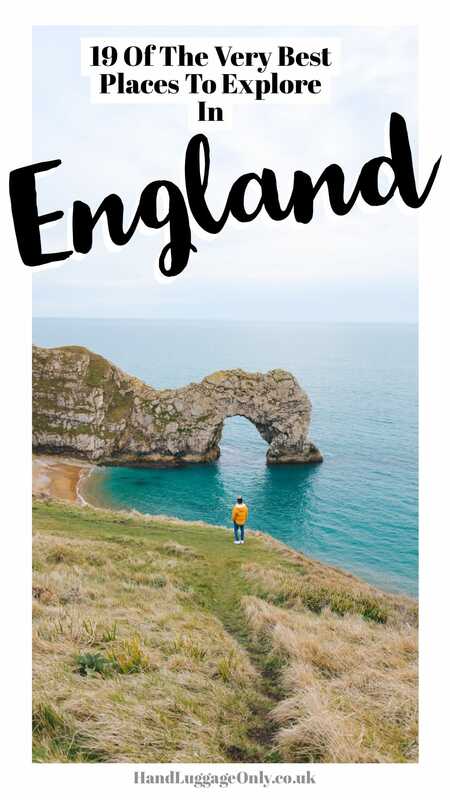 Whatever the case, If it’s your first trip around England or you’ll a dab hand at exploring our gorgeous country, I know you’ll find some of the best places to visit in England that you’ll just love. The Lake District is the UK’s newest UNESCO protected site… and rightly so, it’s beautiful. As you can probably tell from the name, the Lake District is filled with tranquil lakes, beautiful mountain ranges and a whole heap of tiny villages to explore. 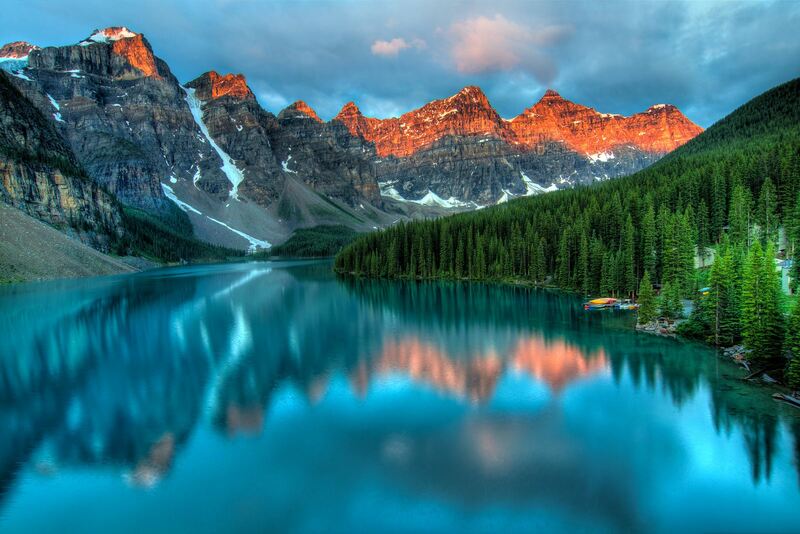 Best of all, each lake has a slightly different character that’s totally unique. Possibly the most famous is Windermere Lake, but if you want to avoid the crowds, pop over to Ullswater Lake and check into Another Place, The Lake (which is actually the sister hotel of the Watergate Bay I mentioned in Cornwall). 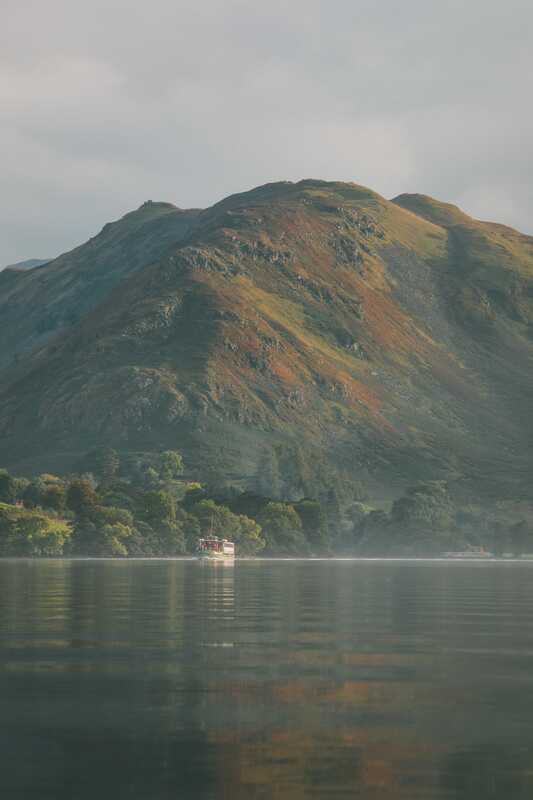 Whilst here, head out onto the Ullswater steamer, try your hand at paddle boarding and hike to the top of Harter Fell for some of the best views across the Lake District. It really is one of the best places to visit in England. Corfe Castle is one of the oldest settlements I think I’ve visited in England… people have lived here for over 8,000 years! It’s a total throwback and it’ll feel like you’ve you’ve stepped back 1,000 years to an olde English world. It really does feel like that. 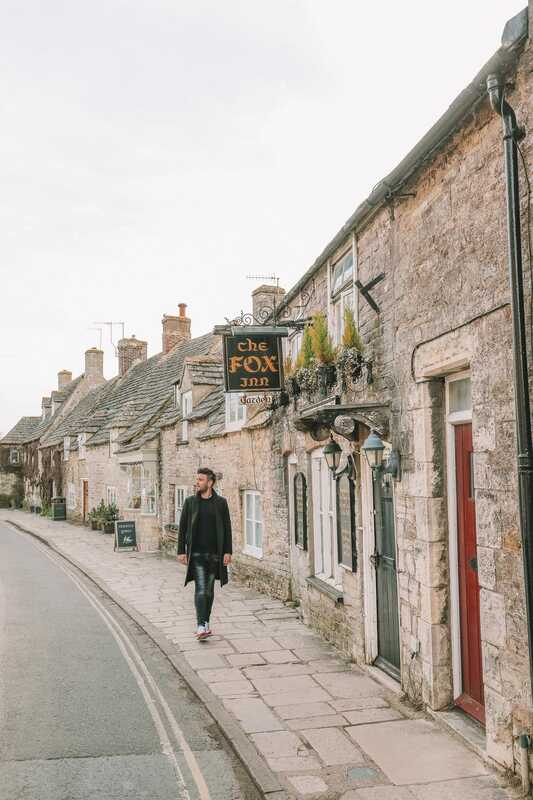 Once here, take a stroll through the castle of Corfe, wander all the little boutiques and grab a yummy Sunday roast at Mortons House Restaurant. Yeah, the Cotswolds are a recurring theme for me! 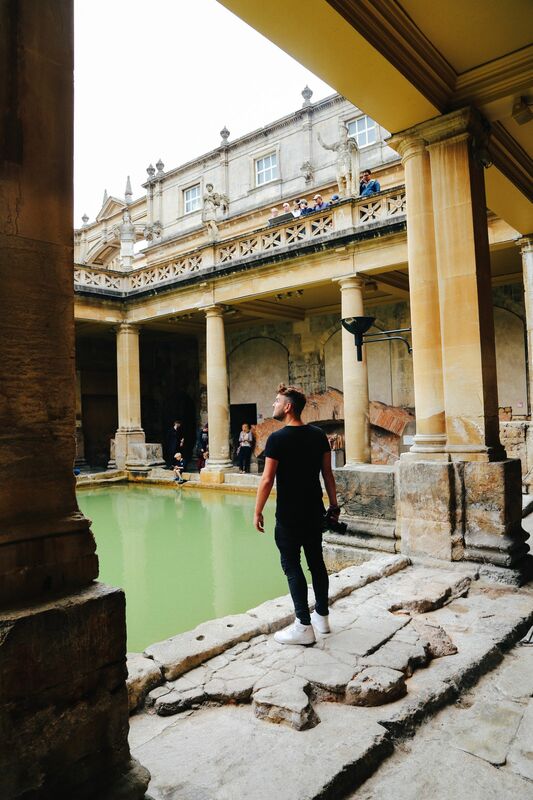 About 2 hours or so from London, the Cotswolds is an area of outstanding natural beauty that you’ll love (and easily one of the best places to visit in England). 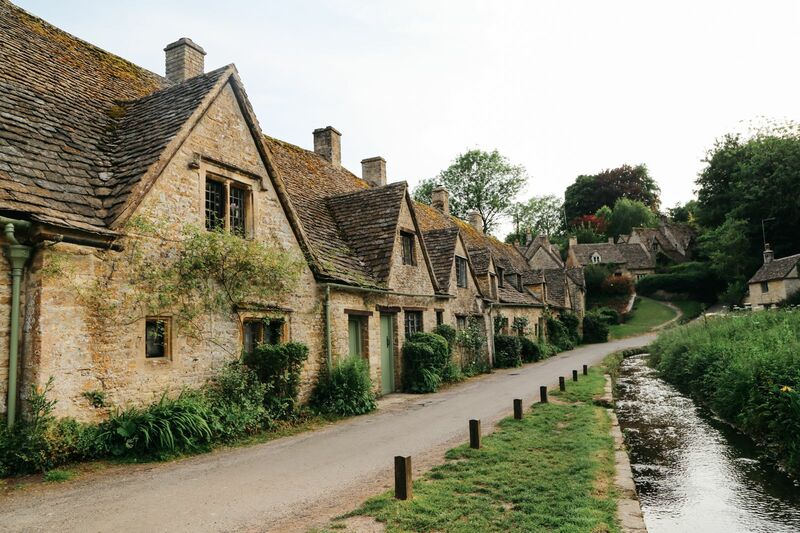 Once you’re there, make sure to visit Bibury to see the gorgeous Arlington Row, pop into the Upper and Lower Slaughters (they’re far less gruesome than they sound), and head over to other spots like the Chipping Steps in Tetbury and Bourton-on-the-Water, too. 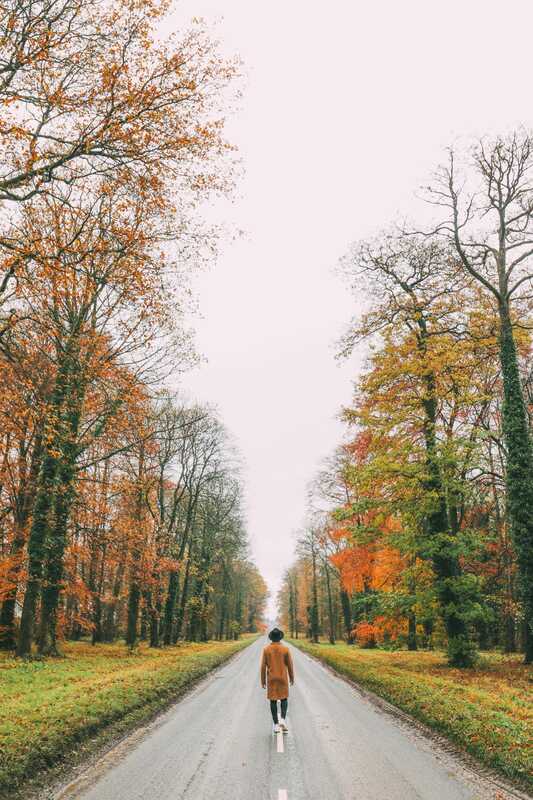 To be honest, I always find it easiest to get around the Cotswolds by car (although some bus routes and trains do run) you’ll have much more freedom to explore the tiny hamlets, towns and rolling hills. For a great place to stay, head to The Royal Oak in Tetbury or the Wood Norton which are both so lovely and quaint. You can read our full post on staying at the gorgeous Wood Norton, here. Okay, Cambridge always holds a soft spot with me. It’s a relatively small city that is perfect to explore over a few days. Once here, make sure to head up the Church of St Mary the Great where you can climb the tower and get some incredible vistas over the city (just watch out for the bells ringing, it makes the tower shake). 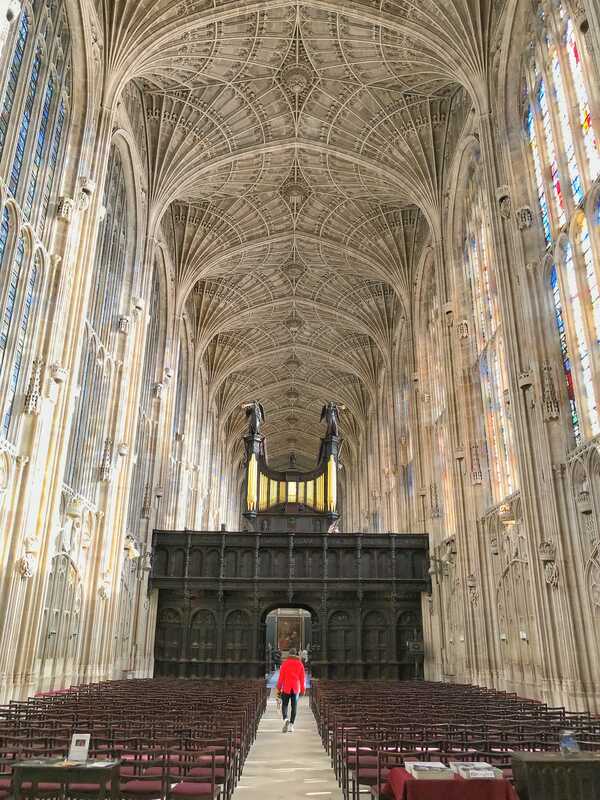 Also, don’t forget to pop inside Kings College and the incredible chapel that’s just so awe-inspiring to see. Inside the chapel, you can still faintly see the ‘graffitti’ from Oliver Cromwell’s army that still stands to this day. Oh yeah, keep your eyes peeled for the huge wooden rood screen inside the chapel – it was gifted by Henry VIII (the one that had six wives) to Anne Boylen and is one of most striking features in the centre of the chapel. For a tasty brunch, pop into Fitzbillies for a hearty English breakfast and finally work off those calories with a bit of punting down the River Cam. You’ll love this city. There’s just something about Bath, and you’ll totally know what I mean once you arrive. This ancient Roman Spa settlement still has some of the incredible features from the Roman Times. 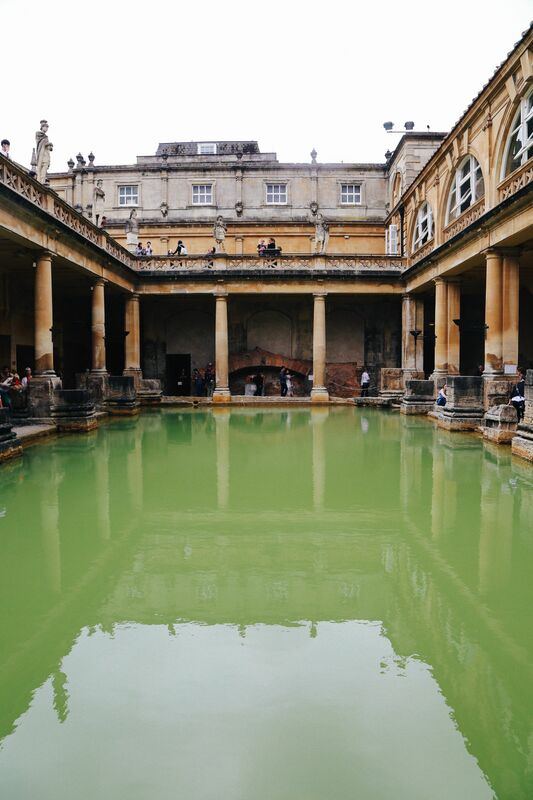 Make sure to pop into the Roman Baths themselves and learn more about the incredible history of this place. It really is one of the best places to visit in England. For a tasty treat, take a stroll over to Sally Lunn’s – she is the most famous and one of the oldest bun makers in the city. They also taste soooo good! For a sumptuous place to stay, check-in at The Queensberry Hotel whose rooms are just so gorgeous. So Bristol is one of those cities that totally surprised me. My first ever visit to Bristol was a little disappointing (I have to be honest). I just think I hadn’t really found my ‘tribe’ of things I’d like on my first visit… all my fault, of course! Thankfully, I was determined to give Bristol another shot, armed with much more info on the kind of spots I’d love. 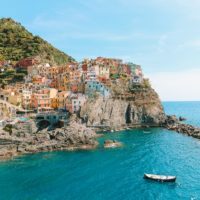 This just did it for me – I fell in love with the city straight away and it’s really up there with the best places to visit in England. 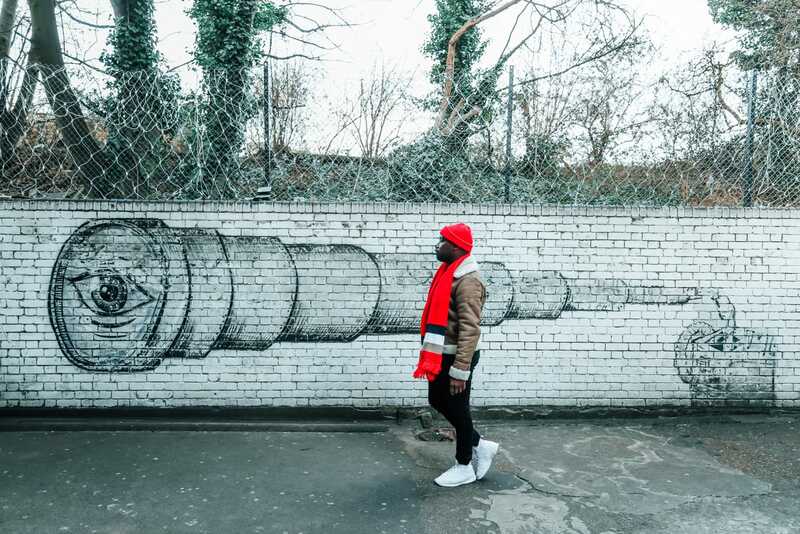 Once there, head on a trail to see some of Bristol’s most iconic contemporary artists, Banksy. There’s a whole heap across his home city. 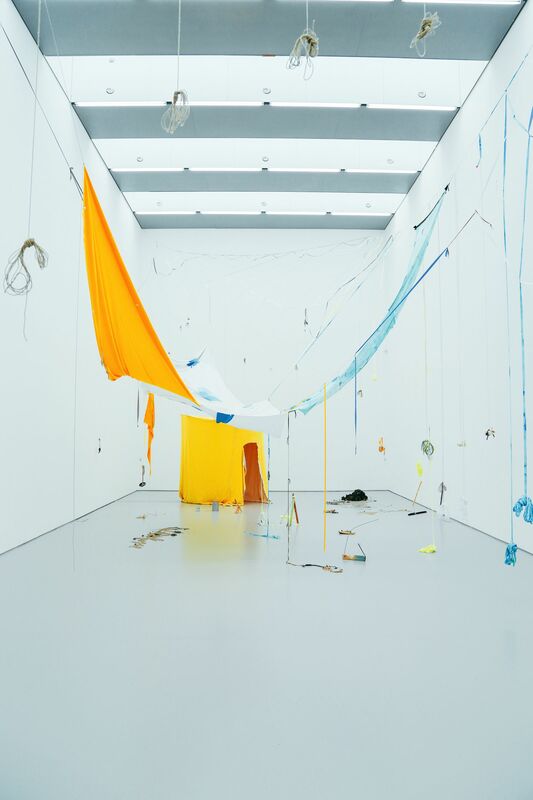 Afterwards, head over to Whapping Wharf and Spike Island to whisk away the afternoon on the seafront with all the art spaces, restaurants and boutique little shops or pop over to the iconic Clifton Suspension Bridge. For a great place to stay, pop into the Hotel du Vin & Bistro Bristol which feels so luxurious. 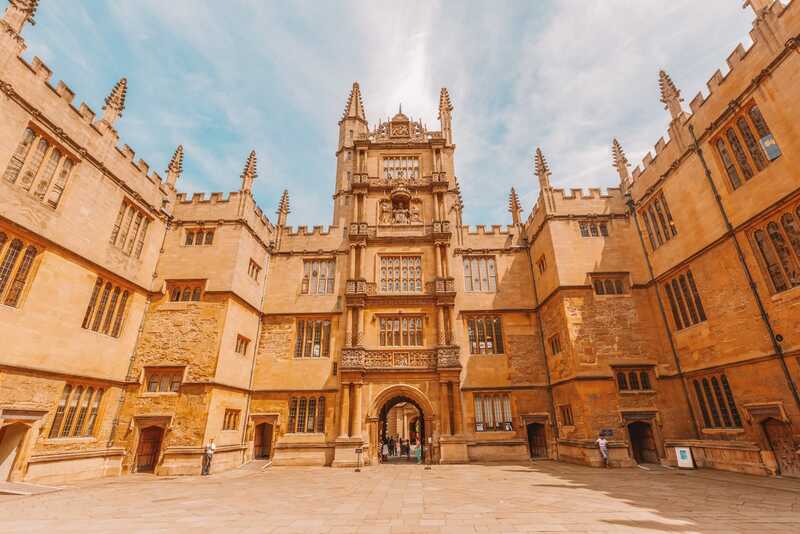 Now, Oxford itself is easily one of the best places to visit in England, especially if you’re based in London or on a longer road trip. 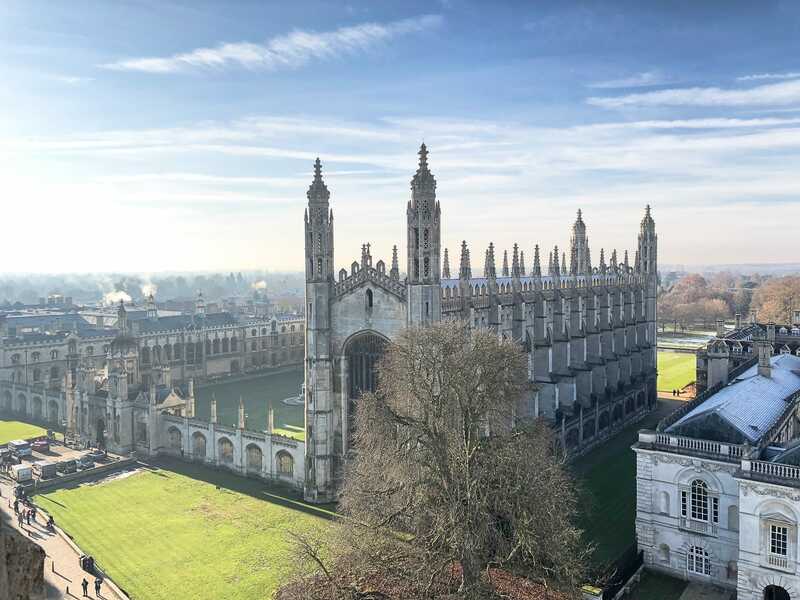 Whilst here, make sure to visit Christ Church College, head onto the river punting and wet your whistler at the Thirsty Meeples – a really quirky board game cafe in the city. For a really unique hotel experience, book into the stunning Malmaison which is within the converted prison. You can actually sleep in the (now more luxurious) cells. It took me far too long to make our first trip to Norwich (England’s first ever medieval city) and I’m ashamed to say that my very first visit was this year. well, better late than never, eh? Perched about 2 hours north of London by train, it’s one of the best places to visit in England and a spot that I know you’ll love. 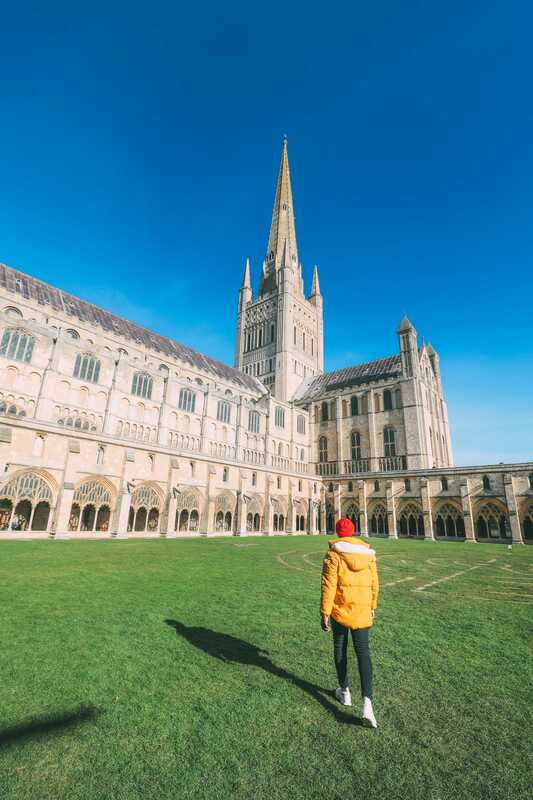 Whilst you’re here, make sure to explore the incredible cathedral, see the historic cobbled streets and wander to the central market that’s been held permanently in the town for over 1,000 years (when it was a Saxon market). For a tasty bite to eat, head outside Norwich to the Fur and Feathers (you can see more about here) who make one delicious feat from local ingredients and finish your day with the best chippy in all of England at the Grosvenor Fish Bar… all served with lashings of vinegar, of course. 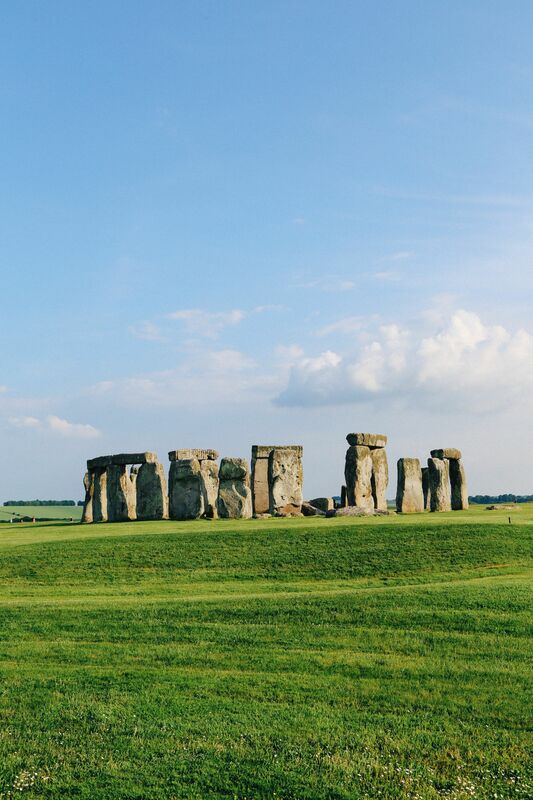 Possibly one of the most famous ancient sites in England, Stonehenge is a spot you have to see. 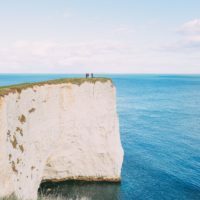 Perched west of London (about 80 minutes away by car), it really is one of the best places to visit in England – especially for us history buffs! It’s been recorded that the stones of Stonehenge actually came from west Wales a huge distance for when it was built. Still, to this day, there are no conclusive ideas of why this was built or what it represents but there are theories around a place of worship, thanks, ceremony and community. Just be aware that Stonehenge is a really popular spot, so if you don’t like crowds it’s best to plan your visit for more ‘off-peak’ times. 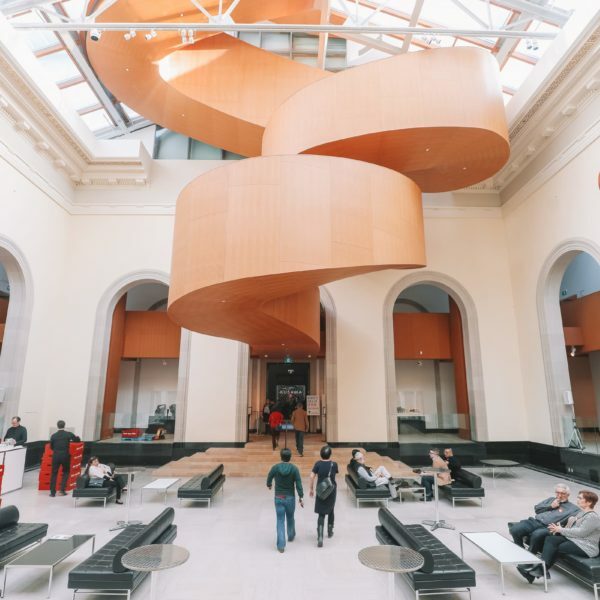 Either visit first thing in the morning or late in the afternoon (just before closing), this way you’ll have missed the bus tours and will only have a few eager beavers with you who have the same idea. The Jurassic Coast always sounds so mysterious and pre-historic to me… I mean, the clue is in the name really but it always intrigued me right up until I visited this year. This intrigue quickly turned to excitement when I realised that you can actually go fossil hunting on the UNESCO protected coastline. The thing that makes this area so good for fossil hunting is that the eroding cliffs on this stretch of coast has actually been pushed way up out of the seabed to create a piece of land. Nowadays, as the cliffs slowly erode, they scatter a whole range of fossils that are all along the beach for us all to find. Keep your eyes peeled and be patient. On our last visit, Yaya and I collected about 10 different fossils! 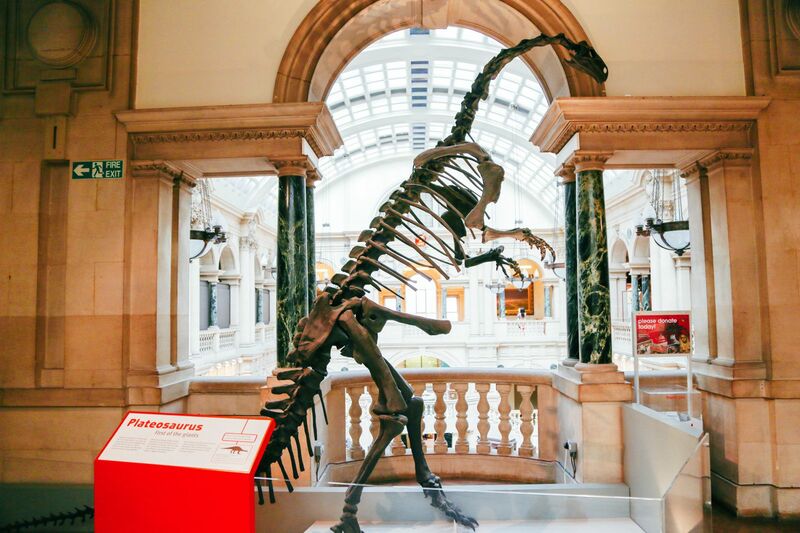 It’s just so crazy to think that you’re the first living being to lay eyes on these fossils for 92 million years. It really is special. 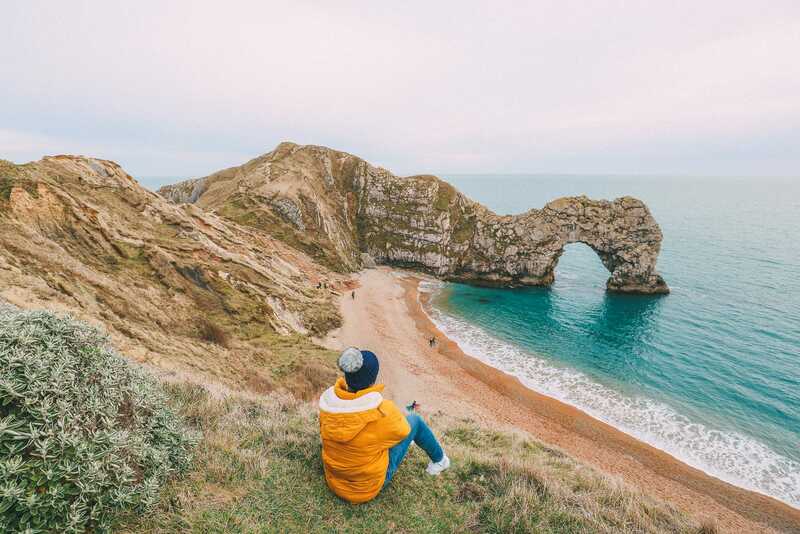 Oh, also, I nearly forgot – don’t forget to pop across the Jurassic Coast to visit the famous Durdle Door, Old Harry Rock’s and grab a bite to eat (and/or stay) at the Pig on the Beach – it’s so gorgeous. Watergate Bay is one of those places where you arrive and almost instantly fall into that relaxing beach vibe that makes Cornwall so great. 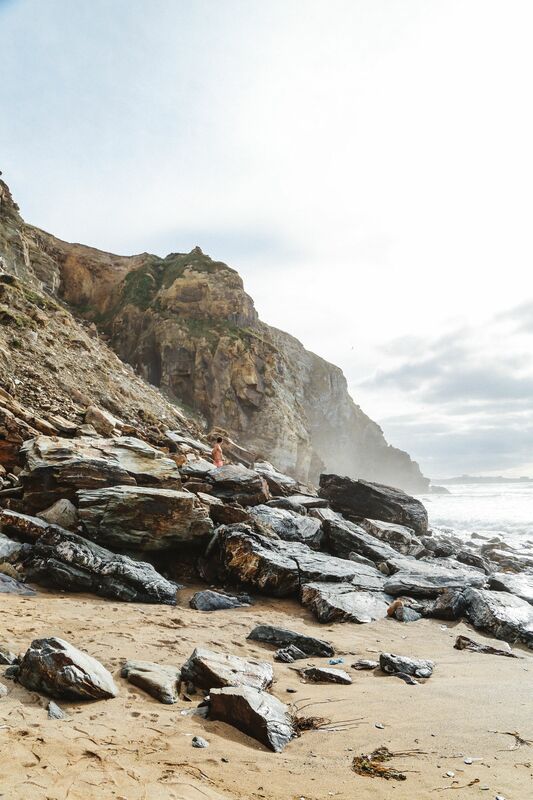 Whilst here, make sure to hike across the gorgeous coast, pop over to nearby Newquay and stay at the idyllic Watergate Bay Hotel. St Michael’s (not to be confused with Mount Saint Michel in France) is another of Cornwall’s gems that you should see. 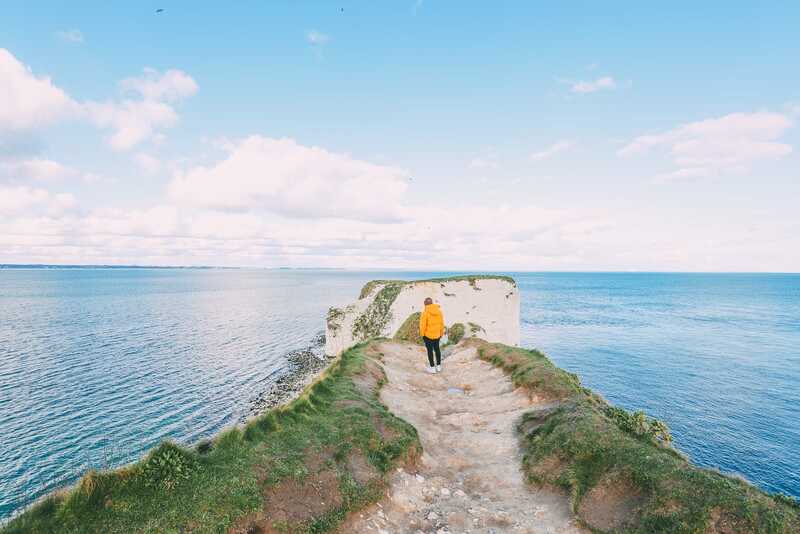 Perched on its own tidal island, it’s possibly one of the prettiest and best places to visit in England. Legend has it that a giant still inhabits the cave on the island. Folklore or not, it’s enough to put the heeby-jeebies in you when the sun begins to set. 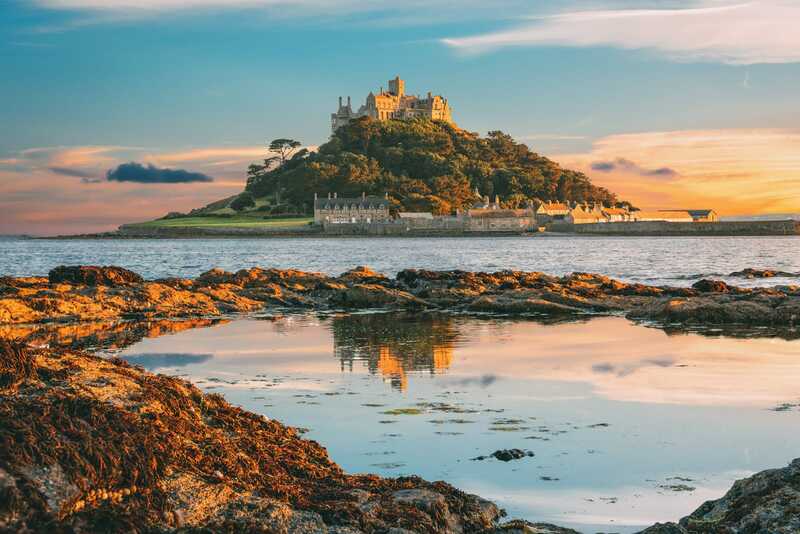 If you’re looking for a gorgeous hotel nearby, stay at the beautiful Marazion Hotel – that’s right next to the tidal island. 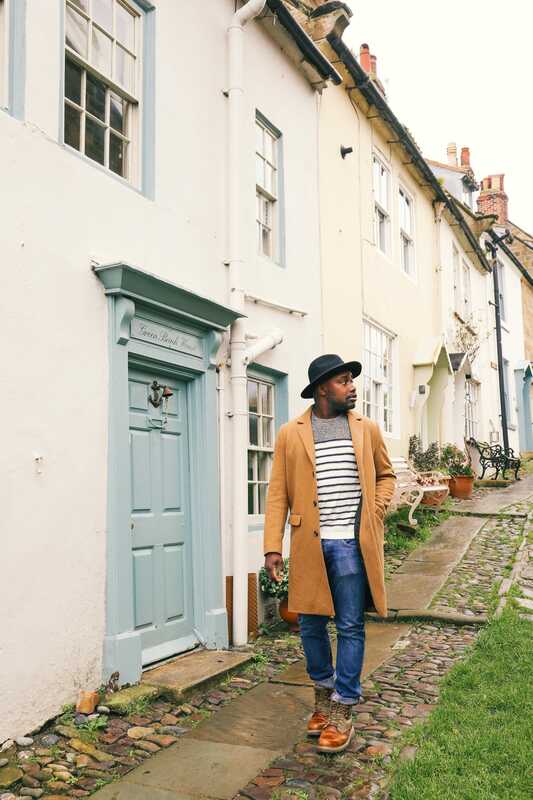 Perched just south of Whitby in Yorkshire, Robin Hood’s Bay is one stunning and totally historic seaside village you have to visit. Once a key smugglers village to bring in contraband items like alcohol, Robin Hood’s Bay still has a network of smuggler tunnels underneath the town itself. Now, you can’t go in them today but it’s an incredible spot to visit and to learn more about the history of this age-old fisherman town. It really is one of the best places to visit in England. Whilst in the area, make sure to visit Tea, Toast & Post for some tasty grub (their lunches are soooo good). Plus, they brew some of the best tea on the Yorkshire coast. 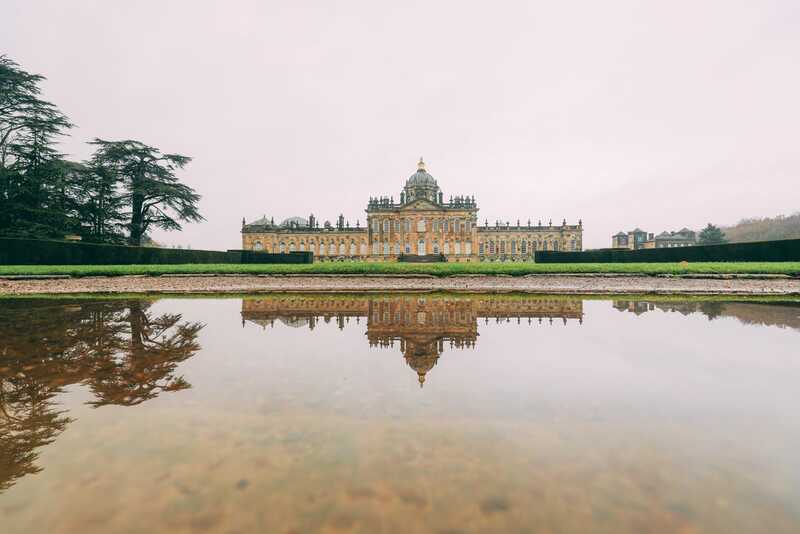 Just a little shy from York, Castle Howard is truly a stunning castle to explore. You’ll honestly be blown away by how beautiful this place is and really is one of the best places to visit in England. Once inside, head to some of the incredible rooms and experience a little slice of this stunning home. During certain times of the year, Castle Howard hosts afternoon teas that are proper tasty and a real treat. Served with some piping hot Yorkshire tea, sweet treats and sandwiches it’s a lovely experience. 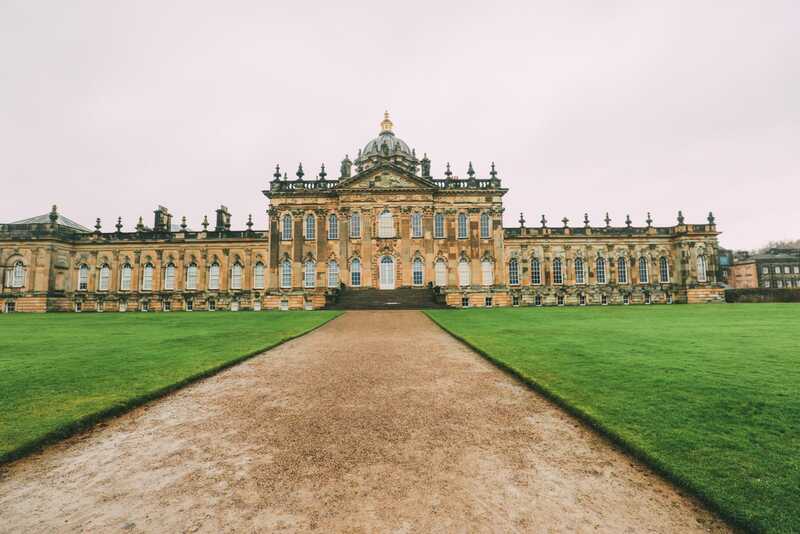 Although you might not be able to stay in Castle Howard, you can check into the beautiful Judges Court (In York) that’s about 12-miles away. I couldn’t forget to shout out London as one of the best places to visit in England, could I? I mean, it’s one of my favourite cities in the world and there’s so much to do that you’ll love. 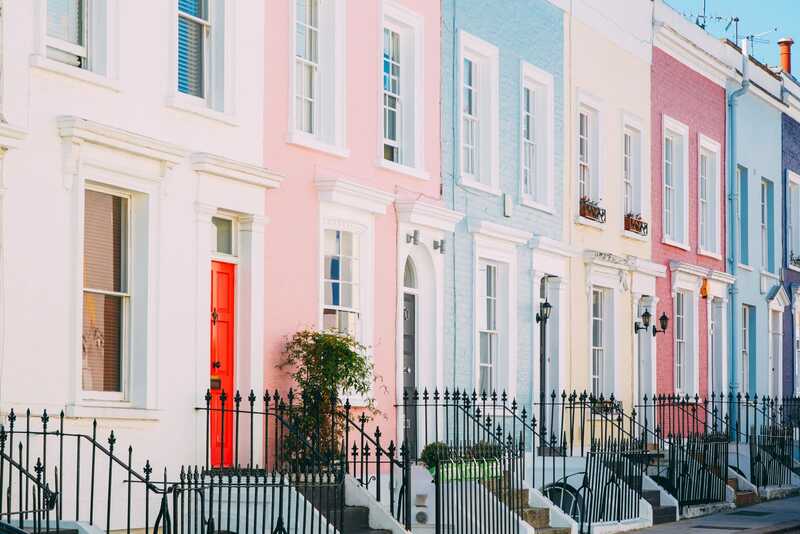 If it’s your first time in London, make sure to check out some of the amazing neighbourhoods of; Covent Garden, King’s Cross, Notting Hill, Camden Town, Shoreditch, Peckham and Whitechapel. Each of these neighbourhoods is totally unique and a great way to see the diversity that is London. If you’re looking for some unique places, make sure to see some of London’s secret spots, its incredible markets, best bars and restaurants with a view. You’ll gorge on everything in sight! To grab a luxurious room in England’s tallest building, book a room at the sumptuous Shangri La Hotel in the Shard. 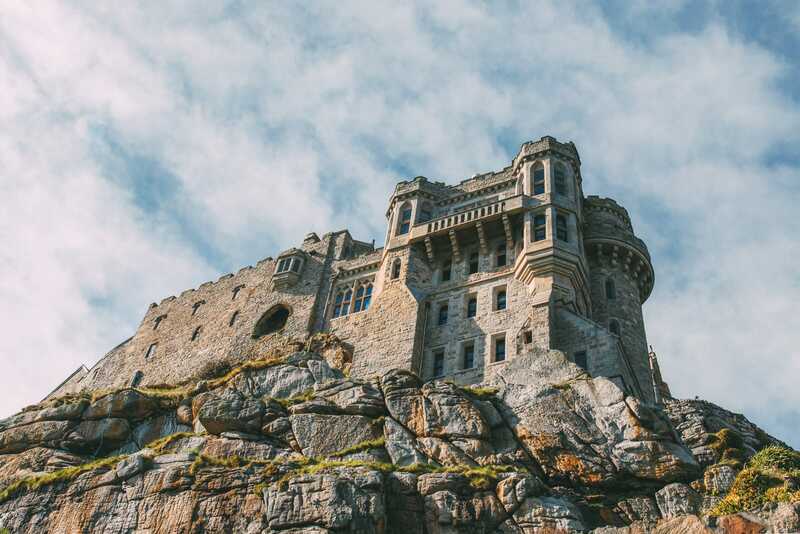 This has to be one of my favourite castles (and islands) in all of England! 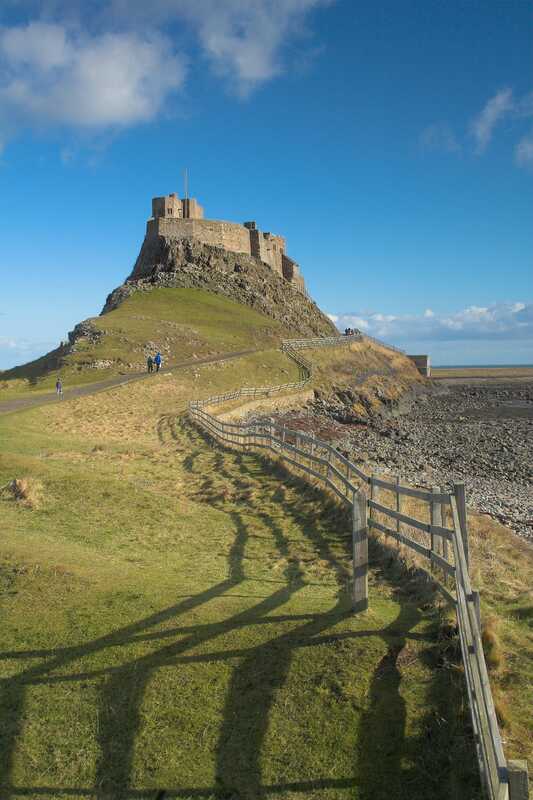 Perched on Holy Island, Lindisfarne Castle is proper stunning to see in person. There’s just something so magical about it (and yes, that’s really cheesy to say, but it does feel like that). 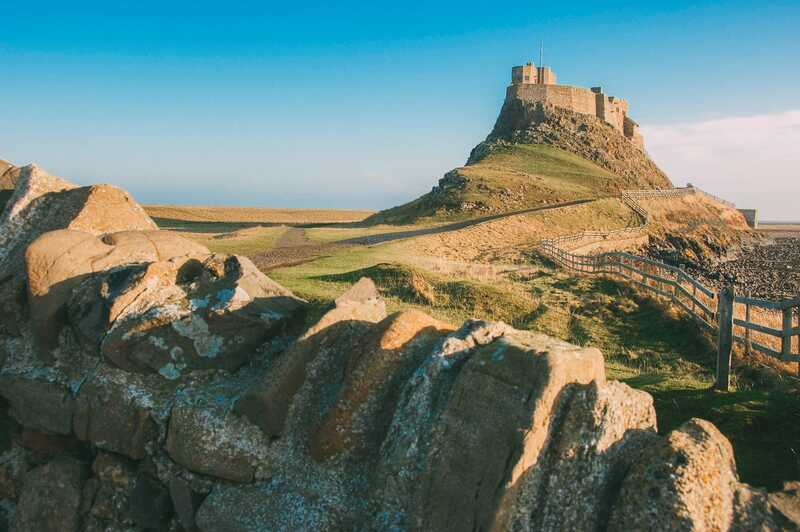 Once here, head for a hike across the incredible shoreline, pop over to Holy Island itself and explore the castle and finish your day off in Berwick Upon Tweed where you can grab a yummy bite at The Maltings Kitchen. 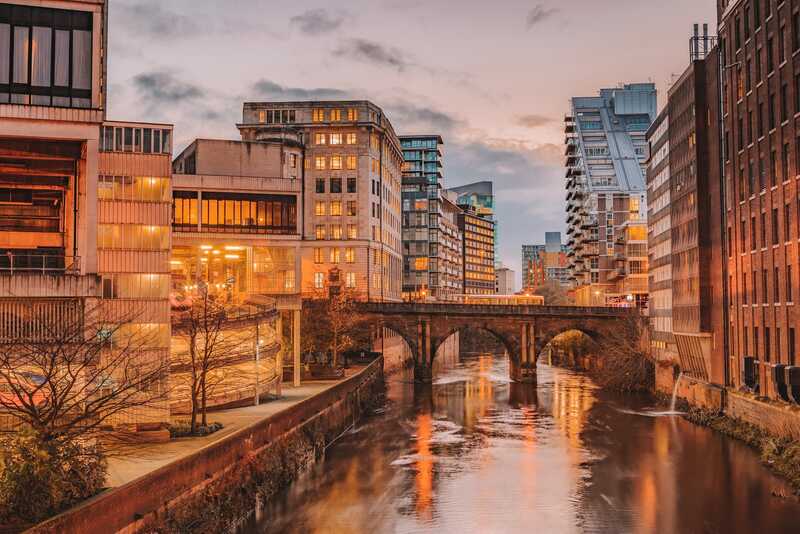 Birmingham often gets missed from lots of peoples travel plans in favour of some of the other big-hitting spots like London (or Edinburgh, across the border in Scotland). With that being said, it’s only about 80 minutes from London by train and there are so many cool spots to see. 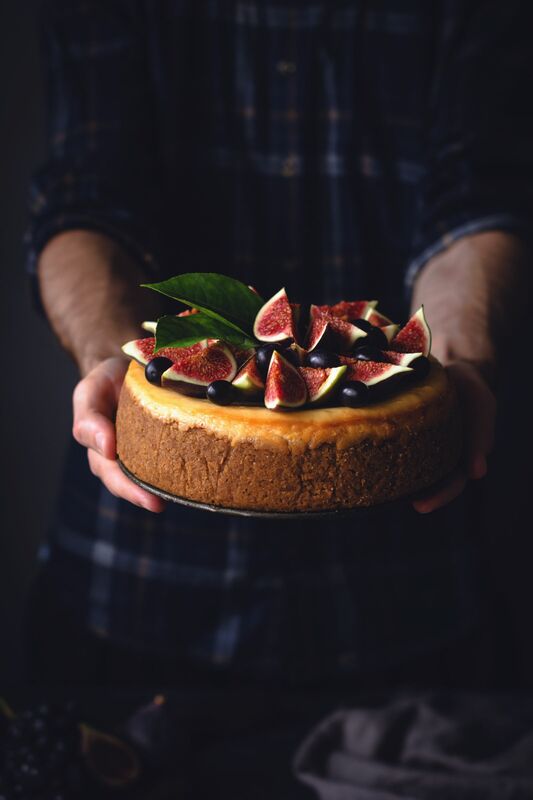 Whilst you’re there, make sure to explore the Coffin Works see Winterbourne House and Garden and gorge on all the food at Carters of Moseley – they make an epic Orkney scallops dish, the tastiest mousse pudding made out of Douglas Fir and some yummy cakes. It really is a contender for the best places to visit in England. For a really funky place to stay, check into Hotel Indigo – you’ll love it. Cirencester is a historic market town that’s easily reached by car or by train from most places in England. It’s the kind of town you visit and somehow wonder have you’ve spent all day exploring. It’s one of my favourite market towns and possibly one of the best places to visit in England. 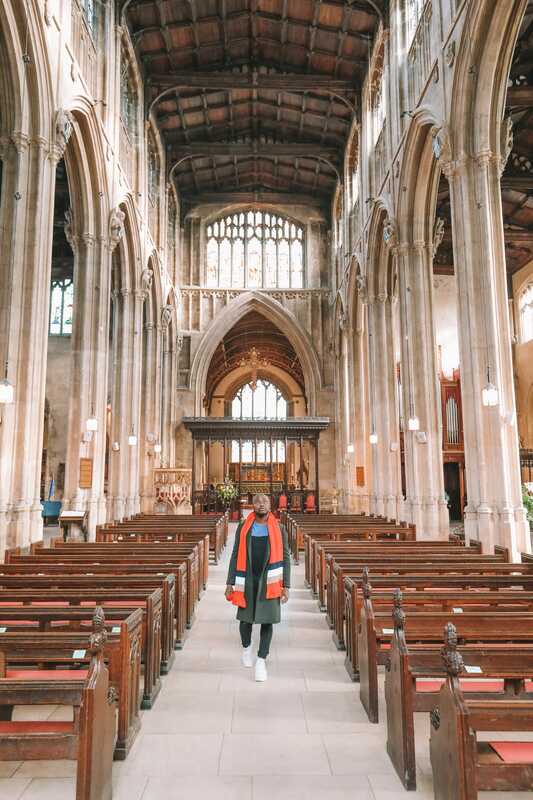 Once you’ve arrived, make sure to explore the Parish Church of St John Baptist, visit the Elemental Sculpture Park and pop into The Fleece for some of the tastiest grub. Manchester always feels like that cool cousin you see at family parties and always wanna hang around with. Always hip, trendy and totally cool. 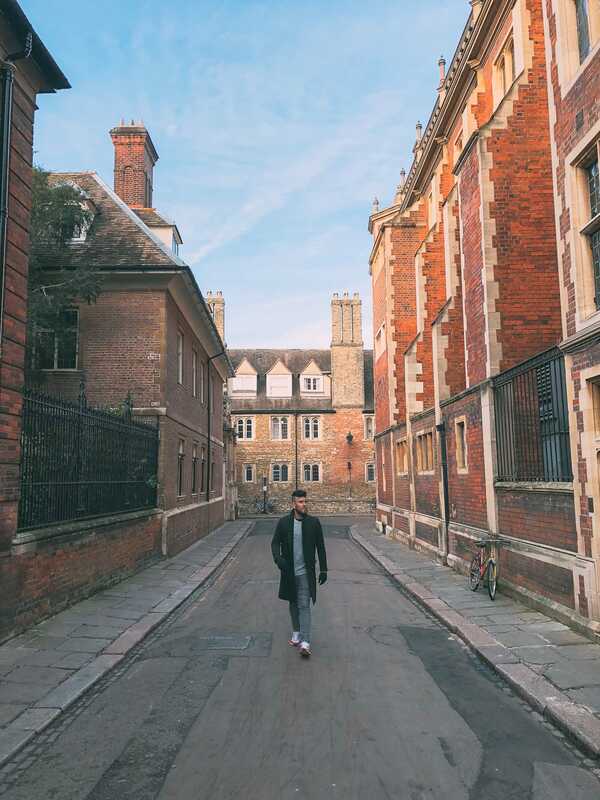 The city has such a cool vibe and really is one of the best places to visit in England if you want to experience a vibrant city (outside of London, of course). 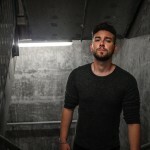 Once here, make sure to head out onto the music scene and visit Jimmy’s who have some wicked bands playing each weekend. 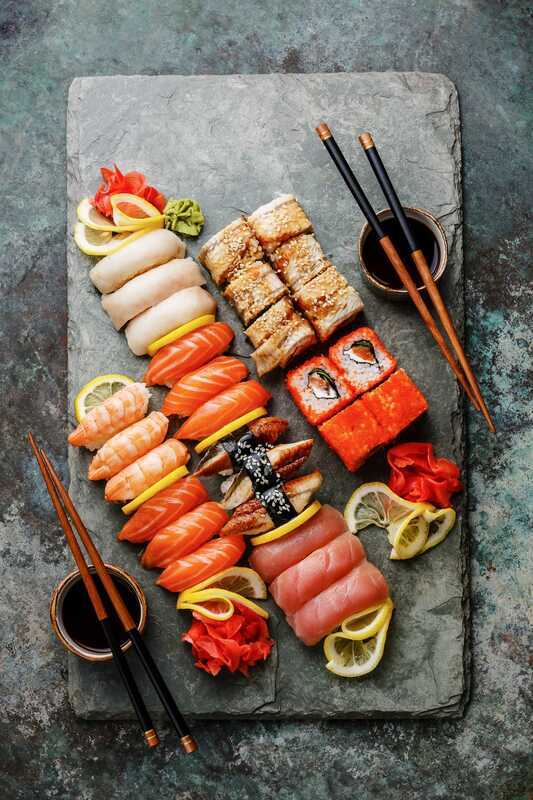 For a tasty bite to eat, pop into Umezushi who make the best sushi in the north and gorge at Fazenda Rodizio Bar & Grill which really will give you a good taste of Mancunian life. For a hip and buzzing hotel, check into the Hotel Gotham, it’s effortlessly cool.